This remarkable recording features Werner John on his hand-carved Native flutes. Two years of composing, including designing new flutes for specific pieces, produced music that is is deeply soothing and emotionally moving. 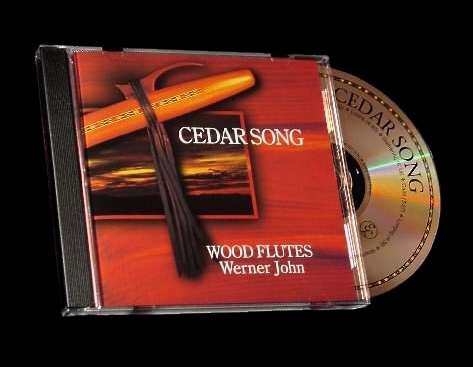 Cedar Song posesses that magic combination of beauty and variety that makes you want to play it again and again. This CD features Werner John playing unaccompanied Native American flutes in deeply relaxing improvisations. The three pieces making up this hour of music are tapestries of different flutes and melodies, mostly solo but sometimes joined by a second flute. 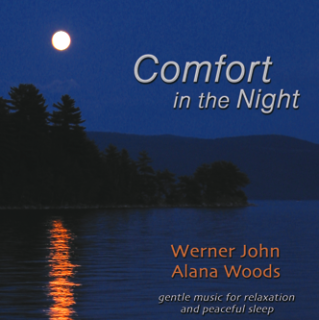 Since there are only two breaks, at the half-hour and 50-minute points, the album works well for massage and other healing modalities. It also works well for meditation and yoga, and as a sleep aid. Werner John and friends play instrumental masterworks from the Baroque, Renaissance, and Medieval periods. Sparkling performances recorded in a beautiful chapel. Relaxing yet uplifting! Recorders, flutes, classical guitar, harpsichord, cello, percussion. 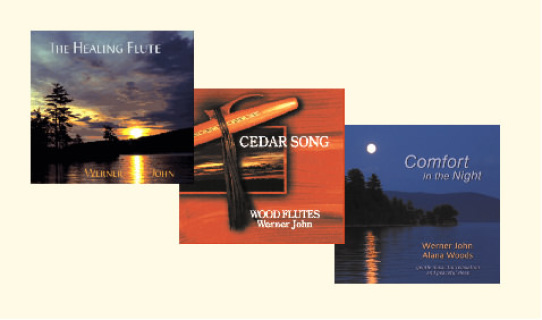 The delightful Christmas Past ensemble includes Werner John on recorders and flutes and other inspired musicians on oboe, violin, guitar, lute, harpsichord, cello - including special guest Eugene Friesen of the Paul Winter Consort. Wonderfully creative arrangements of Christmas carols and classics... many peoples' holiday favorite!